Value4golf analytics®, the first online dashboard application for golf clubs, is already at your disposal. With this application, created and developed by value4golf, golf clubs managers can consult the financial situation and progress of the clubs’ activity through any device with internet connection, in real time, and from anywhere. 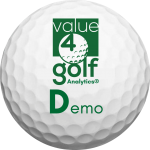 value4golf analytics® is an application hosted in the cloud of Office 365 so it does not need installation on the client’s server, and offers maximum security in the treatment of the information and data. Simple and intuitive, the administration department only has to upload the club’s accounting to its client area with the periodicity they want, and the dashboards are automatically updated. With the security provided by Office 365, access to the customer area is restricted to those authorized by the club through user identification and password. value4golf analytics® faithfully gathers the financial information of the golf club and presents it in an orderly and easily interpretable form. It increases the efficiency of the management thanks to the saving of time in elaboration of periodic reports, and allows to have a better control of the accounts. value4golf analytics® will be available in English and Portuguese soon. 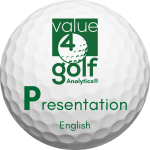 Click on the icon below to see the presentation and demo version (in Spanish) of value4golf analytics®.